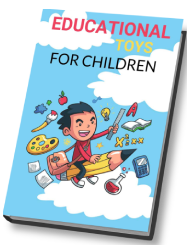 Have you walked into a toy store lately? In this day and age, you’re going to find more STEM bundles than a florist – really, there are so many of them. At the Toy Fair this year, which was held in New York, there was a large amount of new toys being introduced. In fact, it feels as if every company had a new circuit board or robot set to teach children the joys of building electronics. One of the robot kits that really stood out from the crowd this year was the UBTech Astrobot kit – this is something that can be built into one of three different characters, then once it is put together, it can be programmed via a simple mobile app that you can download. If all of this sounds interesting to you, continue forward to find out more on the UBTech Astro Bot. For starters, you’re probably wondering when the AstroBot will be available and how much it will cost. We believe the AstroBot will be available to purchase this spring (2017) and the price will be $199. There are different ways you can built the robot. It can be built as either a treaded robot that looks similar to Walle, a wheeled vehicle, or a humanoid-style robot. It will come with a total of 5 servo motors and 297 different pieces that you can use. The UBTech AstroBot has an infrared sensor that is responsible for preventing it from bumping into objects as you’re letting it move around. There’s also a speaker along with a pair of 16-color LEGs which will allow it to show amazing colors and sounds. A feature that really impressed us was its ability to grasp and lift objects. You can use a mobile device to move the robot around and manipulate its hands so that it picks up and carries something (it has to be light in weight, of course). We also couldn’t help but to notice just how easy it is to program the AstroBot. With the app installed on any Android or iOS device, you can use what is called Blockly. Blockly is a development environment that involves dragging blocks around on a canvas and putting them together to form certain functions. If you would like to get more advanced and do some actual code, there’s a button that will show your application written in Swift, which is a popular programming language. AstroBot is the latest in UBTech’s line of kid-friendly robots. Looking at the company and seeing what else they are offering, we find seven other kits that they already have on the market. One is the TankBot, another is a tread-based robot. These are pretty cool bots, but when comparing them to the upcoming AstroBot, they don’t have the LED lights or design flexibility. 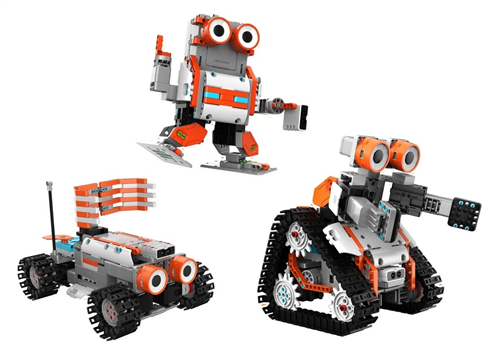 All of the robot kits offered by this company offer compelling ways for children to experience the joys as well as the frustrations of putting electronics together – they even teach programming skills. In our opinion, we believe the UBTech AstroBot will be well worth the price as it looks super fun.